Thanks to Tastykake for providing me with product. All thoughts are my own. Hippity hoppity, Easter is on its way! I sort of felt like it would never get here, and that I had plenty of time to get my act together as far as Easter festivities and basket treats go. If you haven't noticed, Easter is coming up fast... it's next weekend, y'all! Whew- I've got some work to do to make the magic happen, but thankfully, filling my kiddos' baskets will be a little easier, thanks to one of our favorite snack cake brands! 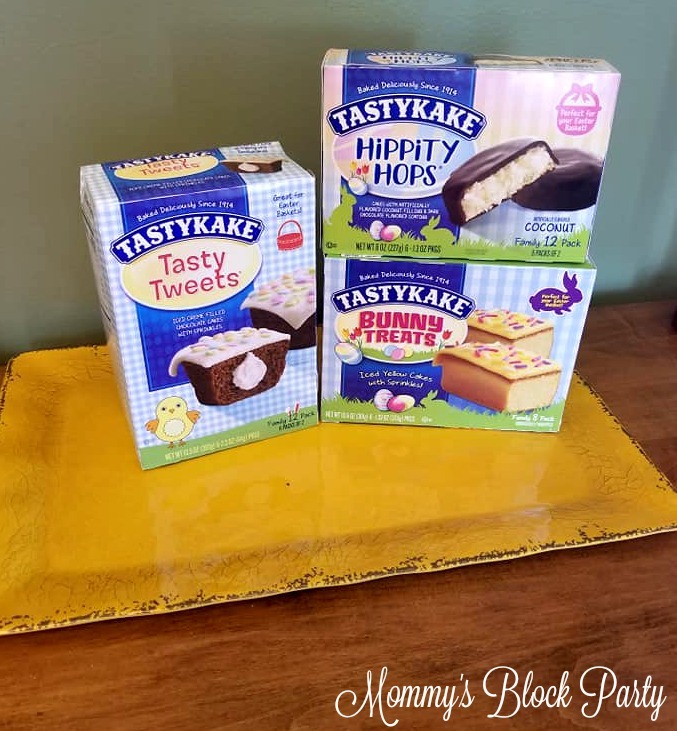 We've shared some great holiday treats with you this year on Mommy's Block Party, and we're thrilled to share some adorable and undoubtedly tasty treats from Tastykake for Easter! If you thought their holiday season and Valentine's Day treats were adorbs, just wait until you see what they've hatched for Easter! These sweet little kakes are perfect for Easter baskets! 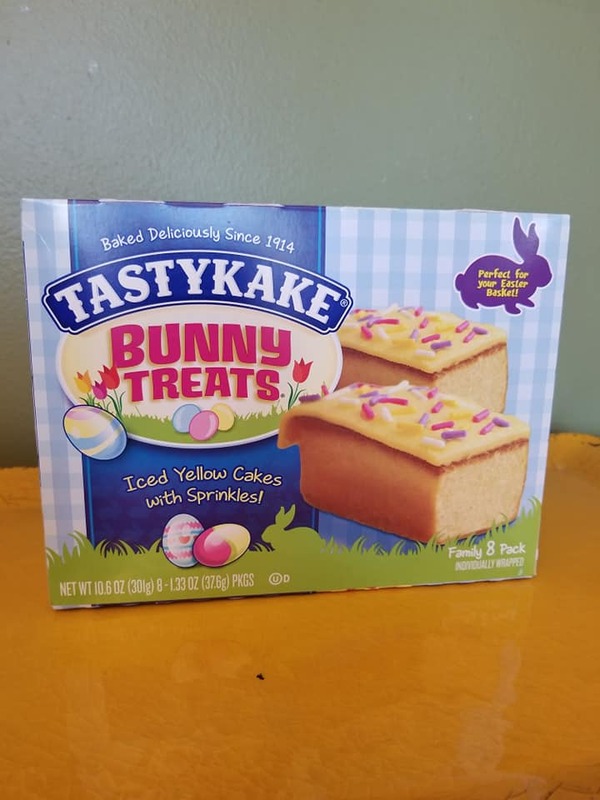 One of our favorite treats for Easter by Tastykake is the sweet little Bunny Treats box! These little treats feature golden yellow kakes, iced with frosting and decorated with cute springtime sprinkles for a sweet little crunch! These are individually wrapped and come eight to a box- just enough for the whole family, or to disperse in Easter baskets! You'll go 'nuts' for Hippity Hops! 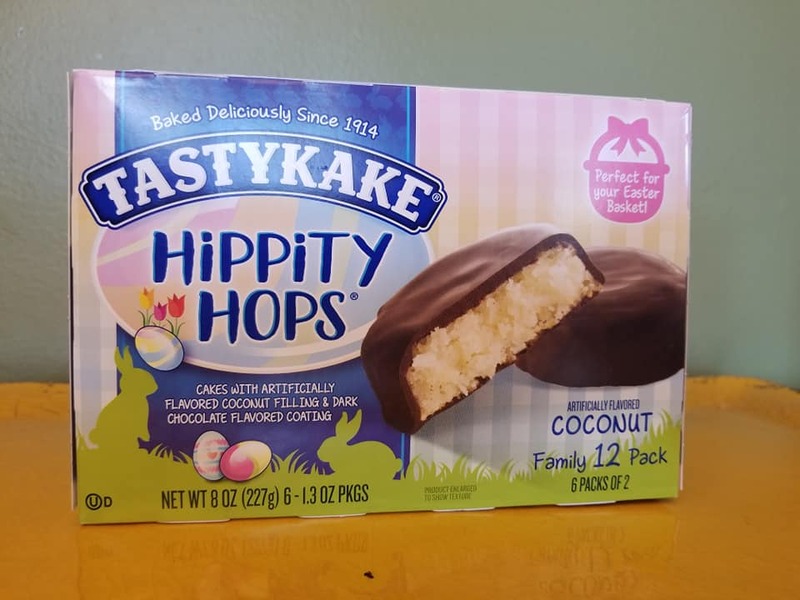 One of my faves from Tastykake has to be their coconut kakes! These are filled with coconut flavor and covered in dark chocolate! What a deliciously sweet combo! My kiddos aren't fans of the coconut, which means that these cute little treats are all mine! 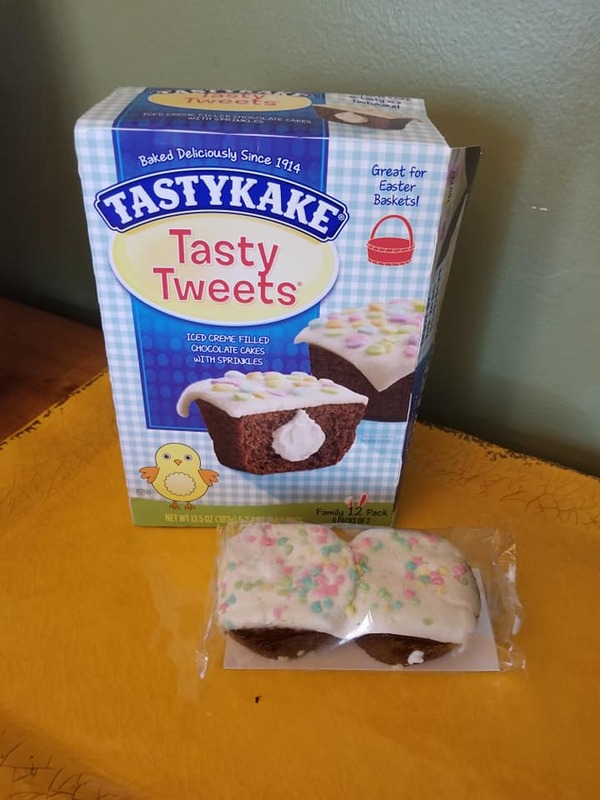 Tasty Tweets are delicious and cute, too! My son flipped for these yummy little Tasty Tweets! These cute and scrumptious chocolate caked are filled with vanilla cream, and iced, plus- topped with sprinkles! They are so moist and yummy- an absolute treat for all! These are my top pick for sharing with friends or for class parties, etc. They come two to a pack and can easily be split and shared. Want them? Get them in time for Easter! Tastykake products make great gifts! Delight your kiddos by filling their Easter baskets up with delicious Tastykake treats! Tastykakes make great gifts, snacks, or are perfect to serve up after your Easter celebration! Special thanks to Tastykake for sharing their Easter varieties with us! Be sure to look for them in our 2019 Easter Gift Guide! I haven't seen these here. The Hippity Hops sound really good!